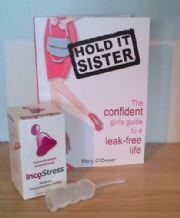 Urethra Cup pessary is used in the management of stress incontinence or mixed forms of stress and urge incontinence. 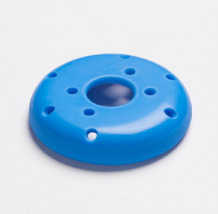 A viable pelvic floor is required to enable this pessary to remain stable. It is advisable that the patient has not undergone any prior pelvic floor surgery. The dome shifts the transition of the bladder to the urethra and prevents an gaping if the upper urethra is weakened under stressful situations. 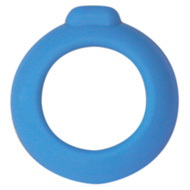 The Urethra Cup Pessary is a combination of a cerclage pessary with an adequately formed calotte to be placed below the urethra. The thickening at the top of the supports the urethra during pressing and deeply coughing and improves its sealing function. 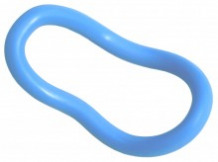 Its robust body is superior to the 'sensitive' urethra pessary with stronger descensus. The patient is advised however to remove the urethra cup pessary in the evening. The pressure load on the tissue is much lower because of the greater contact surface. Medical professionals please ask us for pricing on the complete set for patient fitting. 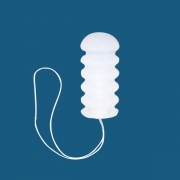 The Sieve bowl pessary, is used to relieve the mild uterine prolapse, a cystocele, or rectocele and incontinence. Perforations facilitate drainage of discharge. 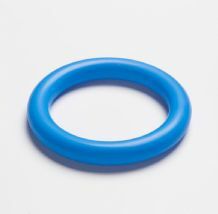 Ring pessary treats mild forms of prolapse and incontinence.